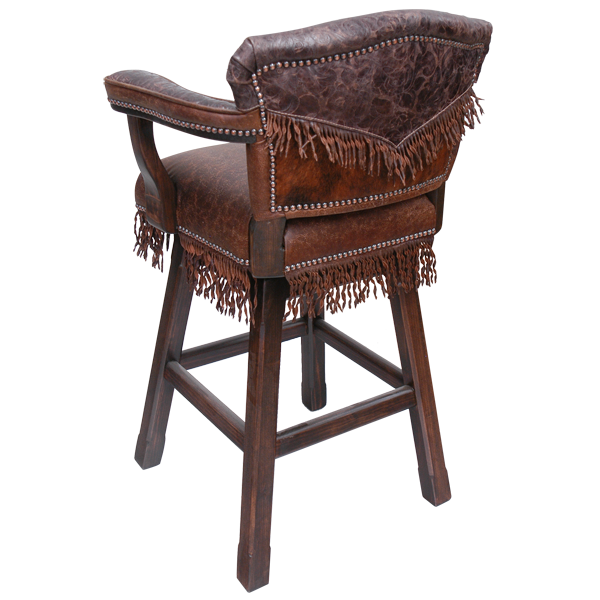 This handcrafted bar stool is part of the Western legacy and is full of intricate and remarkable handcrafted Western details. There is a variety of different kinds of full grain leather use in its construction. The seat and armrest are upholstered in rich dark embossed genuine leather, and the inside and reverse seat back are upholstered in contrasting embossed full grain leather, with a Western cut design on both sides of the upper seat back. 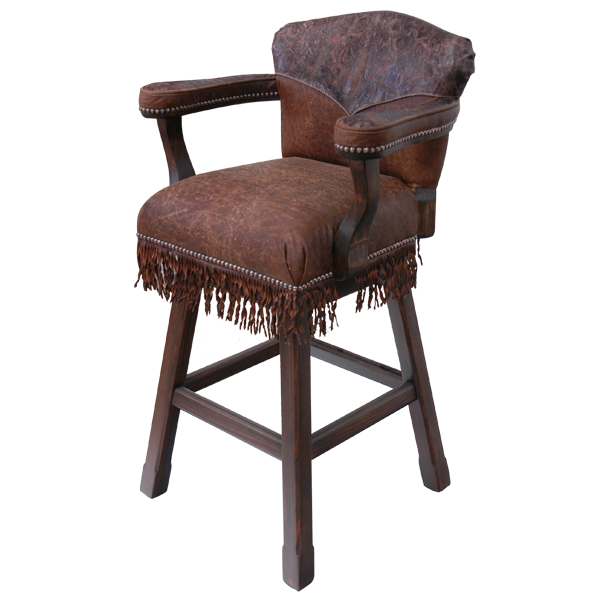 The reverse seat back is further decorated with full grain leather fringe in a “V” pattern. 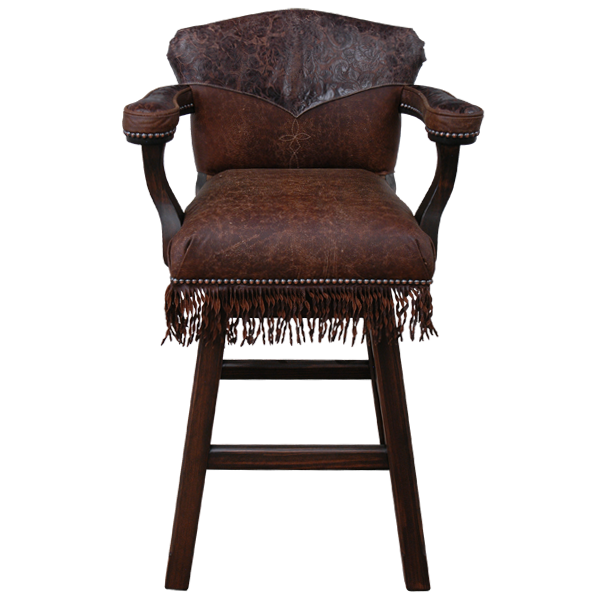 The Western influence is further reflected in full grain leather fringe hand tacked around all sides of the base of the bar stool. Also, all upholstery is hand tacked with great care to the entire wood frame by our skilled craftsmen. This beautifully finished bar stool has splayed legs joined by a midway box stretcher. It swivels 180° and is 100% customizable.